With a very active toddler on my hands, I’m always on the hunt for safe indoor activities that will keep the little one busy. 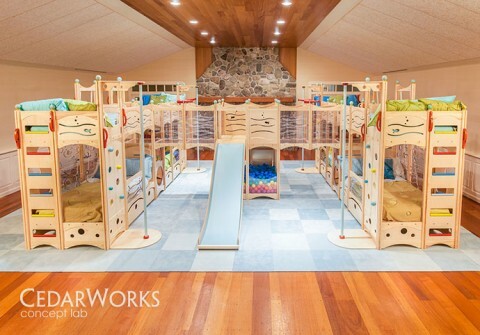 When I stumbled upon Cedarworks amazing indoor playsets, playbeds and playhouses I started to explore ways to squeeze one into our home. 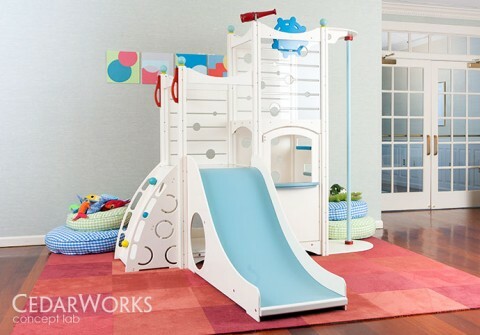 These playsets and playbeds are customizable so you and your little ones could get exactly what you need in terms of options and size. From a single bed with a few fun options to an entire bunk-room, the company works with you to fill the space you have available. The company’s Concept Lab showcases products in the works and future products including a clean, bright white modern playset, my favorite of all. I love the idea of my son playing to his heart’s content safely and my husband and I sitting on the sofa with a cup of coffee in the middle of a snowy and cold Minnesota Winter. A dream come true. Prices start around $1,000 and can go up to $11,000 plus. They are all great, but I love how the white looks with the pops of color on the handles etc.